Towards the beginning of this year I ran a Kickstarter campaign for a monthly zine of archival material from the year 1923. That year has some copyright and public domain significance. For twenty years following the 1998 Copyright Term Extension Act, 1922 was the most recent publication year for which a given work could be categorically determined to be in the public domain. That made “1922 and earlier” a common category for digitized databases of older works. On January 1, that border advanced for the first time in two decades, and the zine is something of a celebration of that fact. The zines sold out quickly—I only intended to offer a hundred subscriptions, which were snapped up in about two hours—and so I added a “digital subscription” option. That meant I would have to figure out how to distribute the zines digitally too, but I was probably going to want to do that anyhow. I sent out and posted (for backers only) the first two issues together after the campaign closed in the beginning of February. This week I sent out and posted the third issue, and so I’ve removed the “paywall” for the first two. 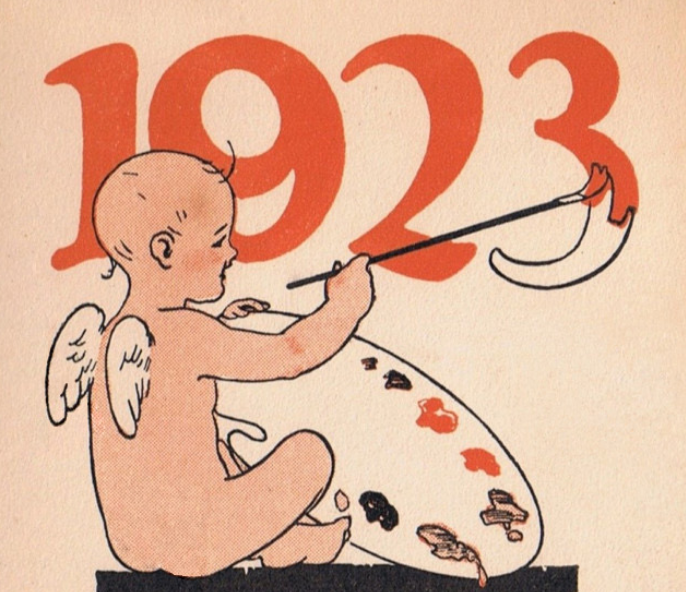 Which means: you can now check out the January and Feburary issues of 1923 at 1923.press. This has been a big endeavor for me, and I’ve had to learn a lot about a tiny area of publishing and fulfillment. In the coming days I’m going to publish some notes about my zine-creating process, which I think is sort of idiosyncratic but may also be instructional. I’ve written a few scripts and one-liners to ease the process, and I’d love if those ended up being helpful to other zine makers!